Trisodium phosphate (TSP) is an organic compound that is present as a white crystalline solid at room temperature. It is described as a strong compound that mixes in large quantities with water. Trisodium Phosphate Poisoning is the accidental or intentional intake of products containing TSP. What is Trisodium Phosphate Poisoning? What are the Causes of Trisodium Phosphate Poisoning? What are the Signs and Symptoms of Trisodium Phosphate Poisoning? The signs and symptoms of Trisodium Phosphate Poisoning can vary from one individual to another. It may be mild in some and severe in others. Several systems of the body may be affected. The poisoning may occur due to swallowing of the compound, or breathing-in of trisodium phosphate fumes and vapors. How is First Aid administered for Trisodium Phosphate Poisoning? Who should administer First Aid for Trisodium Phosphate Poisoning? 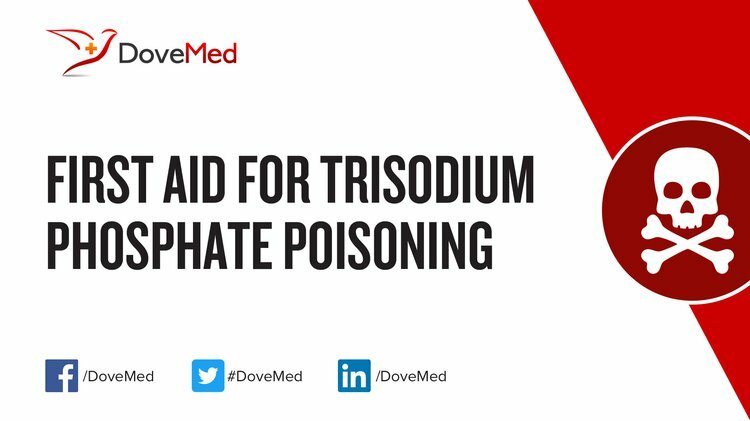 First aid for Trisodium Phosphate Poisoning is administered by healthcare professionals. What is the Prognosis of Trisodium Phosphate Poisoning? How can Trisodium Phosphate Poisoning be Prevented? Schwake, D. O., Alum, A., & Abbaszadegan, M. (2015). Automobile Trisodium Phosphate: A potential source of transmission for Legionella. Science of the Total Environment, 526, 271-277.